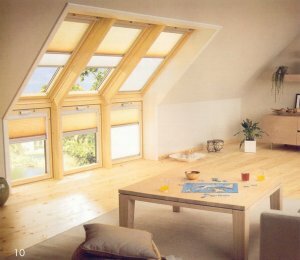 Velux Blinds are specially designed and made for the perfect fit to your Velux Roof Windows and can be easily fitted in a matter of minutes with the help of pre-fitted installation brackets. A wide range of colours and designs make it easy for you to add that fabulous final decorative touch. Four types of light control are available - Siesta, Roller, Pleated & Venetian.